Hosted by Fabian Hamilton Shadow Minister for Peace and Disarmament, Leeds North East MP, the key objective of the mission report was to celebrate the strong connections between the UK Northern Powerhouse and India and to point to future engagement and collaborations. I would like to thank His Excellency YK Sinha Indian High Commissioner represented by Manish Singh Minister (Economic), Andrew Ayre Head of British Deputy High Commission, Chandigarh, India, Professor Ammar Mirza CBE, President Federation of Asian Business, Lakshmi Kaul Representative – UK at Confederation of Indian Industry Sohail Ali Senior Associate, DLA Piper UK LLP Commercial & Finance and Chet Behl ,Legal Counsel NPSO Ltd for leading on the key note presentations. Businesses, diaspora communities, and our civic and economic institutions all have a role to play in building our future ties. With just over a year until the UK reaches its Article 50 deadline, now is the time to embrace our global bonds and nurture them for the future. 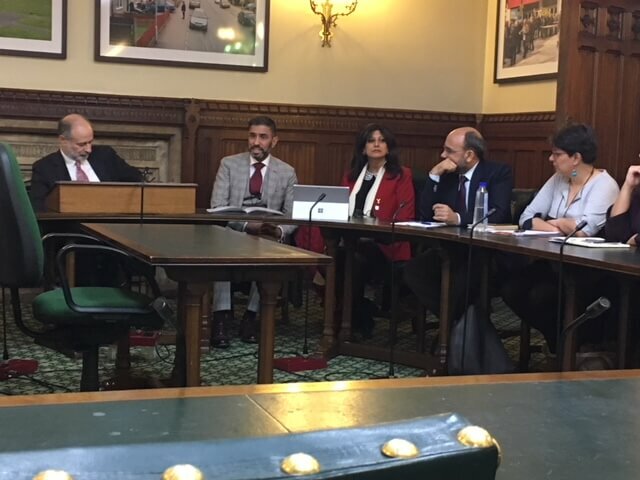 Our report launch was timely in Parliament last week with MPs, diplomats, businesses from across the UK and our delegation of Indian tech companies. This report is a call to action for the Northern Powerhouse and it is clear to me that the time is right to propel ourselves forward together to thinking international, to think India. I am delighted to have been at the helm of a set of activities that are providing a platform for ongoing Northern Powerhouse – India engagement. The team at Quatro have been immensely helpful as advisors, writers and convenors; a wonderful team to work with. I am pleased to announce that through Sharon Jandu, YABA will be represented on the CBI Yorkshire and Humberside regional council. In partnership with the CBI, I am delighted to invite you to join CBI Country Director for India, Shehla Hasan at a special networking reception on Tuesday 24th April at the University of Bradford Shehla has recently been named as one of the eleven most influential women in the India/UK business corridor. I am really pleased that she will be visiting Yorkshire to share her expert insight on the emerging markets and opportunities in India. Shehla will speak about India in depth but also give a regional perspective on South Asia as a whole. Shehla will be also be joined by a panel for a discussion on what British business need to do to be successful and how we can also encourage inward investment. This is a networking event for business executives at all levels with investment or exporting interests across the Indian Subcontinent. Book your place here and the CBI we will forward further details a little closer to the time. Secure English Language Tests (SELTs) approved for British Citizenship, Settlement and visa applications. Trinity provides SELTs across the UK. SELTs are taken by people who need to demonstrate their English language level for the purpose of obtaining British Citizenship, Settlement or a visa for work or study. For Trinity’s GESE exams, candidates receive provisional results on the same day and certificates are usually sent within 7 days. Trinity has 10 SELT centres across the UK with tests available up to 7 days a week in Belfast, Birmingham, Cardiff, Glasgow, Leeds, London Croydon, London Hammersmith, London Holborn, Manchester and Peterborough. Information about the SELTs offered by Trinity can be found at trinitycollege.com/SELT or call us on 0333 358 3183. The Federation of Asian Businesses (FAB) in partnership with business groups across the northern powerhouse are organising a trade mission to facilitate business connections between Business Women across the UK Northern Powerhouse and the most progressive states in India. There are many benefits of joining YABA, from brand building to international opportunities, reaching new audiences and networking business-to-business. To find out more about YABA or to become a member please contact sharon@yaba.uk.com or visit our website.